Laser cutting is one of the fastest and most effective ways of cutting precision flat patterns in metal. Through the use of advanced optics and a computer numerical controller (CNC), lasers can cut multiple parts from a single sheet of material, with the utmost precision and speed, allowing for rapid prototyping, or on production runs of parts in a cost and time effective manner. 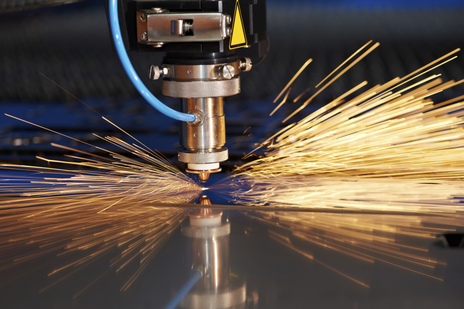 At LCNW, we run fully automated lasers, which allow us to run 24 hours a day, 7 days a week. This way we keep our lead-times low, while being able to handle large production runs to keep your assembly line rolling. Capable of cutting thicker materials that may not be suited for a laser, water jet cutting is another advantage of going with LCNW. Not only can a water jet cut thick material, in cases where the material cannot be subject to any heat effect, the water jet is capable of making precision cuts without the use of excessive heat. Cutting is accomplished by mixing an abrasive garnet and water and sending the mixture at high pressure through a precision nozzle. Since there is no heat, waterjets can be used for materials other than metal including (but not limited to) plastics, some woods, foam, and more. Waterjet cutting is especially useful when doing “hog outs” of thicker material, to get the parts ready for machining. Generally used for very tight tolerances, or the removal of only some of the material on a surface, CNC Machining allow for quick, precise manipulation of parts. With automated tool changing, multiple call-outs for difference processes can be programmed into the controller, without having to manually change tooling, such as going from drilling to tapping in a matter of seconds. This saves both time and money, and is especially helpful when there are a lot of different call-outs. Capable of putting an enormous amount of pressure on a part to create bends, forming is an inexpensive way of putting an angle on a part for fitment or other purposes. Through use of press brakes we are able to put many different angles and kinds of bends in multiple types and thicknesses of material. In addition to our sheet and plate bending capabilities we can also form pipe in various sizes. With our capabilities we are able to make or modify dies to meet every one of your forming needs. From prototype to production, small parts to large assemblies, LCNW houses a vast working knowledge of most any weld type. 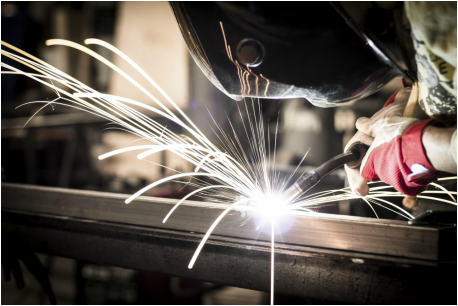 We employ multiple welders, with a wide range of knowledge, which allow us to take on almost any weld project. For larger production runs we have robotic welders, allowing for very precise, and quick turns on large volume weld projects or OEM production runs. We also have a heavy fabrication division that specializes in the fabrication/welding of large structural products. Have a large fabrication project? Contact us to see how our services will help your needs. With access to multiple vendors, with different capabilities, we are able to source almost any kind of finish that your project may require. From powder coating to wet paint, anodizing to heat treating, let us help you source your finishing needs. We work closely with our vendors to ensure quality and low lead-times. Have an assembly you need put together but do not have the space or capability? Let us help you with your project. We take on projects from small lighting components, to large equipment housing, we want your challenge to be our accomplishment. Let us become your business partner, not just another supplier.